Avoiding delays caused by traffic congestion or roadworks is a daily challenge for truck fleets in Australia. An unexpected hold-up can add significant time to journeys, wreaking havoc with finely tuned schedules and endangering cargo delivery outcomes. 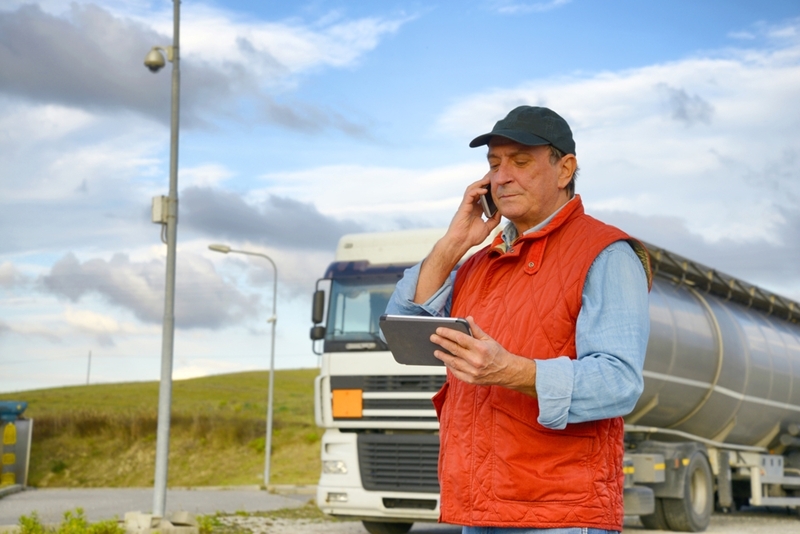 With so much at stake, many transport operators have turned to vehicle telematics to help their drivers pinpoint routes of least resistance. Businesses that rely on vehicles are disproportionately impacted by traffic congestion. How does traffic congestion impact business? According to a 2015 report by the Bureau of Infrastructure, Transport and Regional Economics (BITRE), total passenger travel in Australian cities has increased nearly ten-fold over the last 70 years. Despite private road vehicles making up 87 per cent of the aggregate urban passenger task, businesses that rely on vehicles are disproportionately impacted by traffic congestion in terms of the cost incurred. The BITRE estimated that the total avoidable social cost of traffic jams for the eight Australian capitals would be around $16.5 billion, of which $8 billion would be for business time costs. New technology is assisting fleet businesses with journey planning and traffic congestion avoidance. Traffic levels in Australia are expected to rise around 2 per cent per year, with corresponding increases in congestion-related delays. Based on scenarios of future urban road planning, BITRE projects that the total avoidable social cost of traffic congestion in Australian cities will reach about $30 billion by 2030. All kinds of strategies and technology have been developed to help motorists. How to get accurate traffic updates in Australia? All kinds of strategies and technologies have been developed to help motorists avoid traffic jams - from relatively low-tech overhead signs and road markings to advanced in-vehicle telematics units. Many transport and logistics companies have incorporated Pinpoint's Advanced Vehicle Management (AVM) solution - a cloud-based vehicle telematics application that enables fleet managers to see the GPS location and status of multiple vehicles at a time. Designed to improve the productivity, compliance and security of your vehicles and drivers, the AVM provides real-time traffic reports for areas where drivers are operating. Among its many other benefits are that it gives fleet managers the ability to monitor driver behaviour and plan journeys and fuel consumption more accurately, and eliminates the need for manual job data entry. Pinpoint Communications offers a wide range of solutions providing information on road conditions that can be accessed from anywhere, on any device. For more information on how vehicle telematics can help your business avoid traffic congestion, please get in touch with us today.